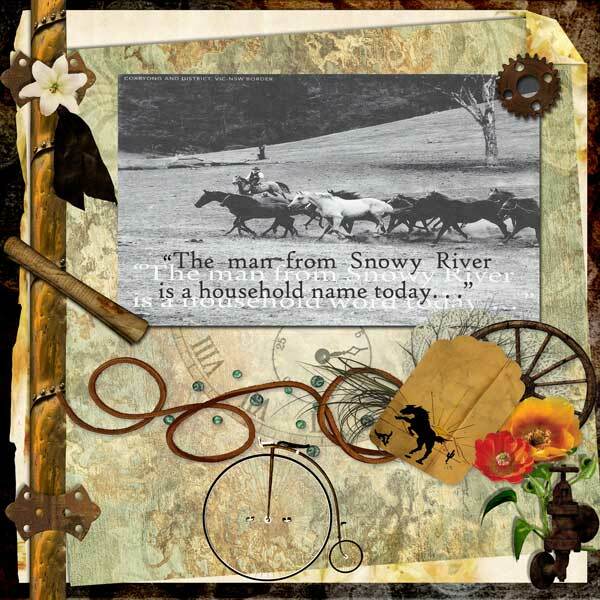 Today is DSD (Digital Scrapbooking Day) and I cannot think of a better day to do some scrapping! Here is a new question and some layouts for inspiration. ENJOY. The angst of the teen years…. What was your favorite motion picture? What was your favorite book? Why? I just love these questions about favorite things. They take me back with a smile. 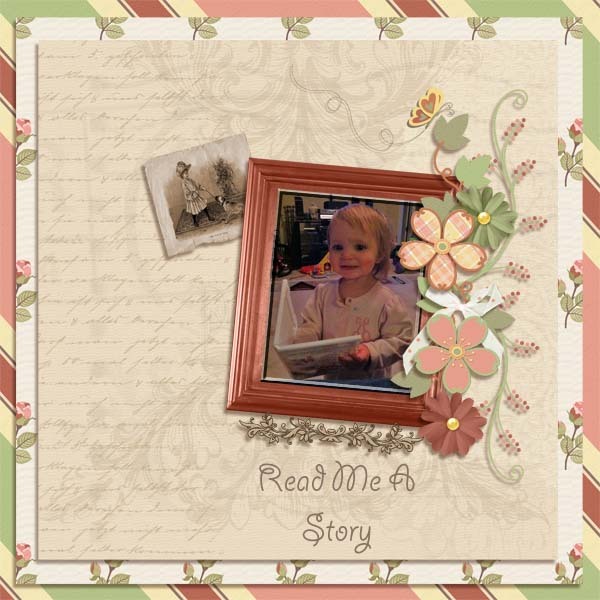 Here are three layouts - each very different from the others - ready to provide some inspiration as you tell your story! The creator of the third layout noted: The overlayed photo is property of Starz. 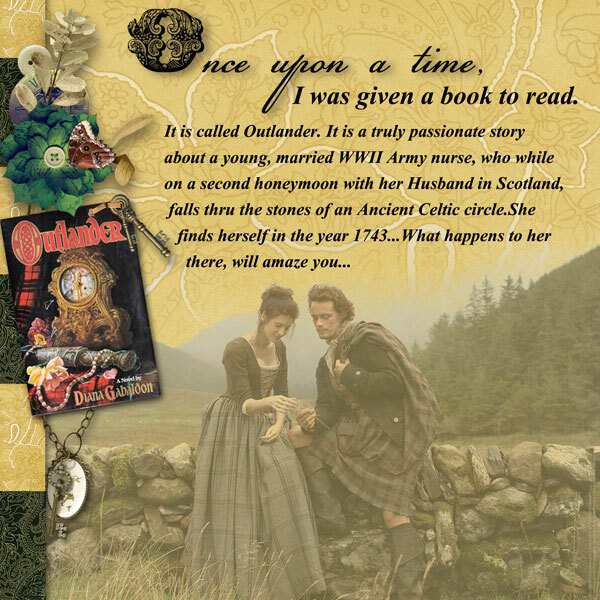 The Book cover is property of Diana Gabaldon, The author of Outlander This is my all time favorite book series. I have not been able to use MyMemories since I downloaded version 6. I guess I will go back to v.4. The design is very pretty and attractive.I love your blog these creative items you are making. Thank you so much for sharing this post with us. It was unique, easy to make and also attractive. I found these ideas from your blog. I have tried many of them and its very nice.